If you or a loved one has been hurt by a dangerous dog, Neill Trial Law can help. Call us at 720-443-0324. When you choose us to represent you, we will carefully explain your rights and the steps involved in a personal injury dog bite case. We will take the time to learn about how the dog bite or attack has had an impact on your life. As we move through the process, we will stay by your side. We have experience standing up for people who have been injured by dangerous and/or vicious dogs in the Denver/Boulder/Broomfield area and throughout the state of Colorado and will fight to get you the compensation you deserve. Dog bites can occur anywhere. Whether you were attacked on or near the dog owner’s home, or at a store, bar, restaurant or other business, we can help. Dog owners are responsible for keeping their pets in line and businesses are responsible for keeping people on their property safe. If these duties have been neglected, we will pursue every possible avenue to get you the full compensation you deserve. 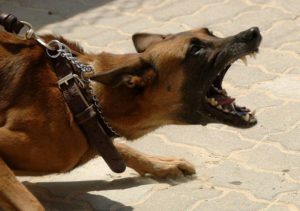 A common misconception in dog bite cases is that only big dogs – pit bulls, Rottweilers, Doberman Pinschers, for example – can cause serious injuries. That is not true. We have handled dog bite cases in which small dogs have caused serious pain and permanent scarring. It is the dog’s propensity for aggression and violence that is the real concern, not the size of the dog. This is especially true when a child is the victim. We can help you no matter what size or breed of dog attacked you. We are experienced trial attorneys. When we handle a personal injury case related to a dog bite, we make sure we prepare the case from the outset with the strength to go to court if the opposition is unwilling to provide full compensation for the injuries you suffered. That preparation involves thorough research and knowledge of leash laws, pet laws and other factors. It also involves conducting a thorough investigation, gathering critical evidence and interviewing potential witnesses. If you have been injured and you are seeking representation, contact Neill Trial Law today at 720-443-0324 or fill out the form for a FREE case evaluation!